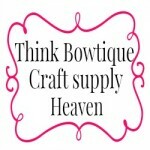 You will love the range of wholesale grosgrain ribbons at Think Bowtique. Browse our Huge range of colours and widths. The colours are vibrant and there is sure to be a shade to match your craft project. Creating hair bows, invitation stationery or gift wrapping there will be a colour and width just right for you.